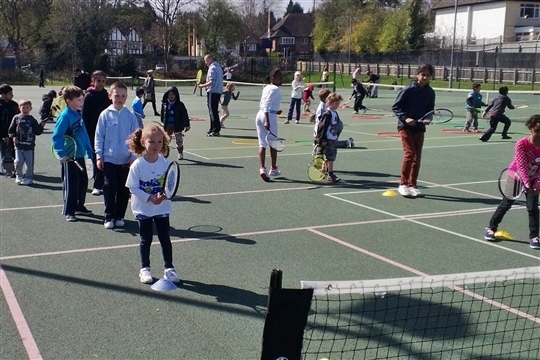 Lordswood Tennis Club is a family friendly, accessible club in Harborne, Birmingham. We offer affordable membership for all Adults, Juniors, and Families, and provide a wide range of activities as part of this membership. 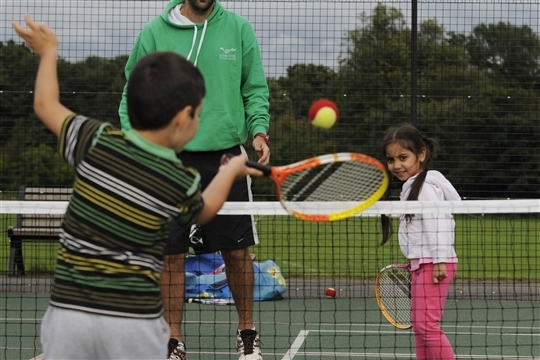 We have 5 tarmac tennis courts, 3 of which are floodlit, meaning that play is possible all year round, day and night! We have teams representing us in local leagues, and offer a full programme of competition, coaching and training sessions for all - so no matter if you are new to tennis, returning after a long break, or an experienced tournament player, we have something for you! Our functional clubhouse has a small lounge/kitchen area, and toilet and shower facilities, making Lordswood Tennis Club a pleasant place to spend time, both playing and socialising! 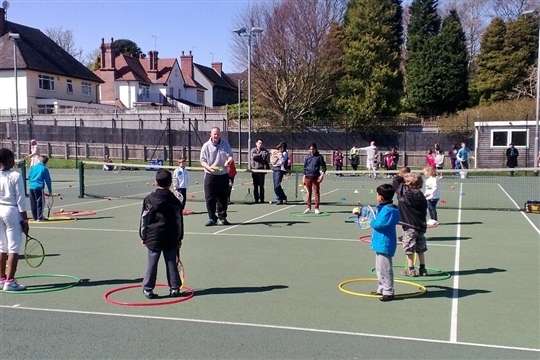 We have a full coaching programme including sessions for juniors of all ages, and adults of all standards, and also offer 'Cardio Tennis' fitness classes, and 'Tennis Xpress' lessons - perfect for new players to learn how to serve, rally and score. We also run Kids Camps during the school holidays, meaning that all juniors are kept active, busy and healthy during the school holiday time. Interested in Playing? Click on our Membership page for membership prices and details, or on our Coaching page to view all lessons that we offer, or click Contact to get in touch and ask any questions! Lordwood Tennis Club is a great facility, with 5 tarmac all weather courts, 3 of which are floodlit, we really are making tennis an all year round sport!! We also have a small clubhouse with kitchen and seating area, and toilet and changing/shower facilities. With prices at just £100 for a whole years unlimited tennis for the whole household, we are also amazingly cheap!! Adult and Junior rates available too.